Matthew Rorick and I first talked about our love for Mondeuse at a Chenin Blanc seminar run by Tegan Passalacqua called #hellachenin. These are two of my favorite varieties: Chenin Blanc and Mondeuse. Jumping forward to the spring of 2016, I procured dormant Mondeuse cuttings from Santa Maria Valley. Matthew grafted what was originally Graciano planted in 2002 to Mondeuse. Matthew, in addition to farming one of the most exciting vineyards in California, is also the owner/winemaker for the cult brand Forlorn Hope. 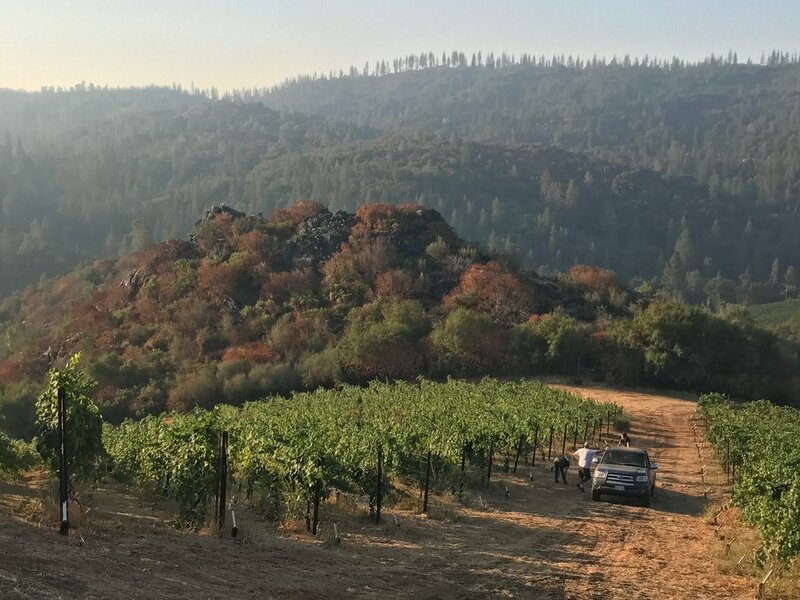 Rorick Heritage Vineyard is gorgeous, set in the hills of Calaveras County at 2000 feet elevation. Aspects of the Mondeuse block shift from southeast to south and the soil is comprised of limestone with a top layer of schist. The grapes were foot crushed with a long press cycle to pick up flavor and texture. Fermented in stainless steel and aged on the lees in neutral oak. The wine went through native primary and secondary fermentation. Bottled unfined and unfiltered in February 2019, with under 20 ppm of total S02.